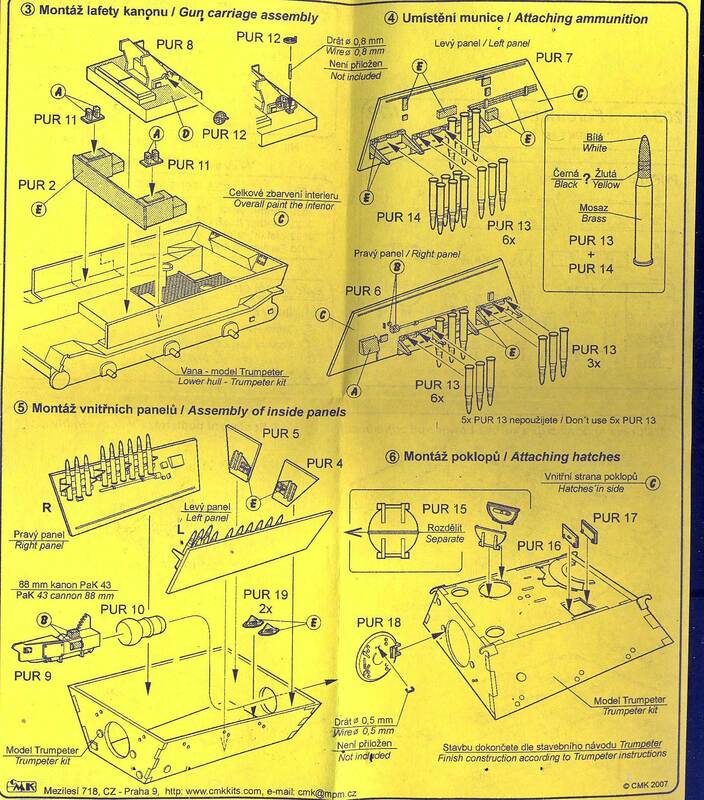 Resin and plastic combi-kits from Czech Republic. 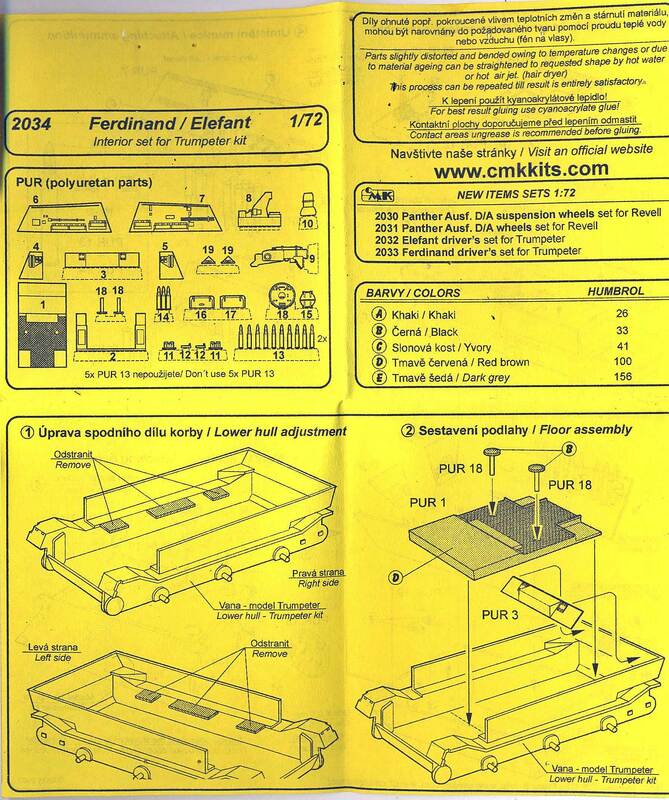 CMK also markets a small line of resin accessory sets, figures and diorama accessories. CMK is also the owner of Planet Models, MPM, Special Armour, Maritime Line and Condor. 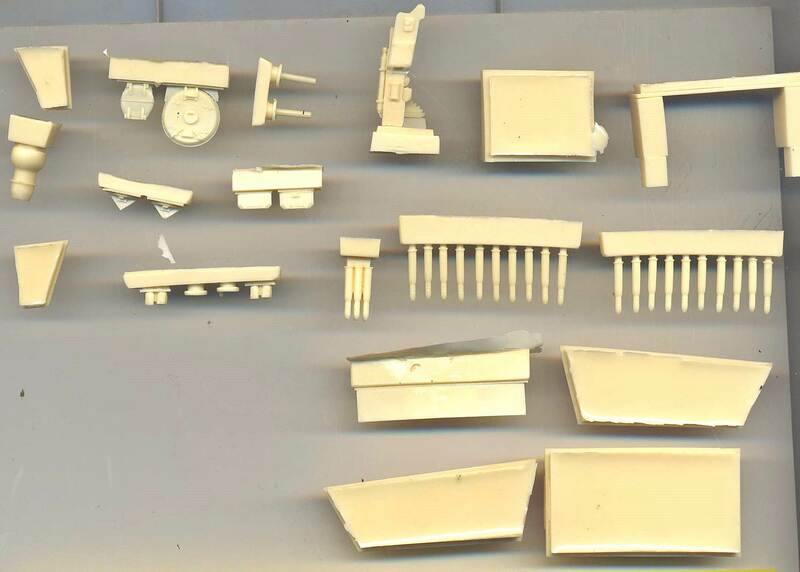 SP72001 IDF Hummer Conversion Resin conversion parts for Revell Humvee kit. SP72003 Sd.Kfz. 9 FAMO 8.8cm Flak Conversion Resin and etched conversion parts for Revell FAMO kit. SP72013 Sd.Kfz.251/16 Ausf.D Flamethrower Conversion for Hasegawa kit. SP72035 GMC 353 Airfield Fuel Tank Conversion for Academy kit. Resin set with PE parts and decals. SP72037 GMC 353 Water Tank Conversion for Academy kit. Resin set with PE parts and decals. 72003 Sd.Kfz. 251/22 Ausf. D "Drilling" Contains complete Hasegawa Sd.Kfz. 251/1 plastic kit, plus additional resin and etched metal detail and conversion parts. 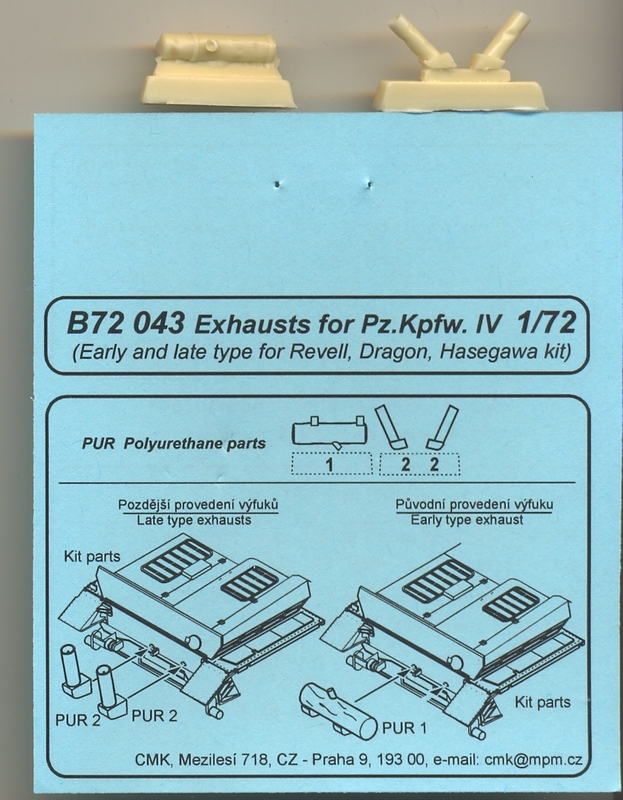 This set contains three pieces: one for the mid-war tubular exhaust (good for Ausf. F to J) and two for the late war vertical Flammentöter (late model Ausf. Js). What makes these unique is that they are all realistically dented, simulating battle damage. While the Revell Ausf. H has an exhaust that looks nice enough to my eye, its end is not hollowed out as in these resin parts. The Flammentöter in the Revell Ausf. J kit are very poor. 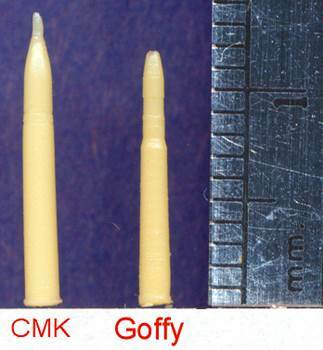 If CMK released the Flammentöter separately, both in damaged and undamaged condition it would sell well, enhancing this kit. The Dragon Ausf. F (and presumably the G too) has nice exhausts with a hollowed out end. The added value of these parts would then lie in the battle damage they incorporate. I cannot comment on the Hasegawa kit. BE72001 Su-85M (barrel D-5S 85mm) For UM. Metal gun barrel and resin parts. 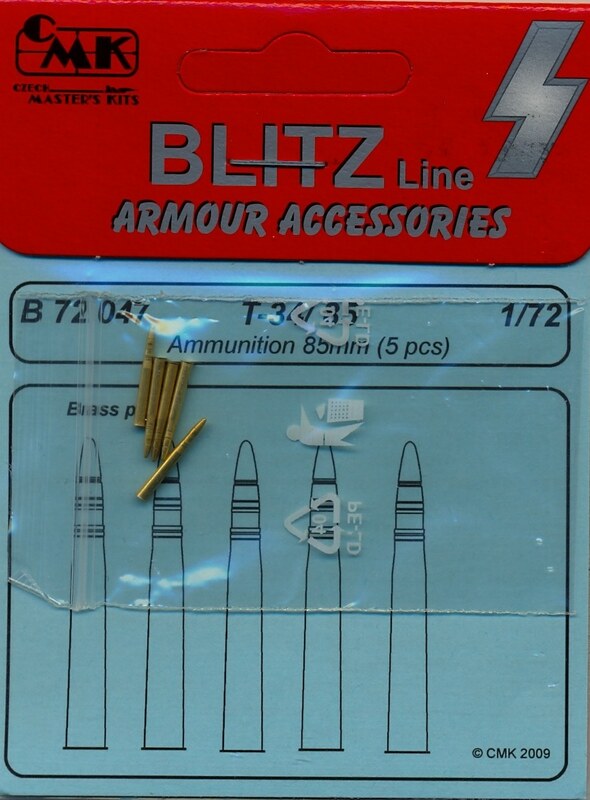 BE72002 IS-1/IS-85 (barrel D/5T 85mm) For PST. Metal gun barrel and resin parts. BE72003 T-34/85 mod. 1945 (barrel ZiS S-53 85mm) For Revell. Metal gun barrel and resin parts. BE72004 T-34/85 mod. 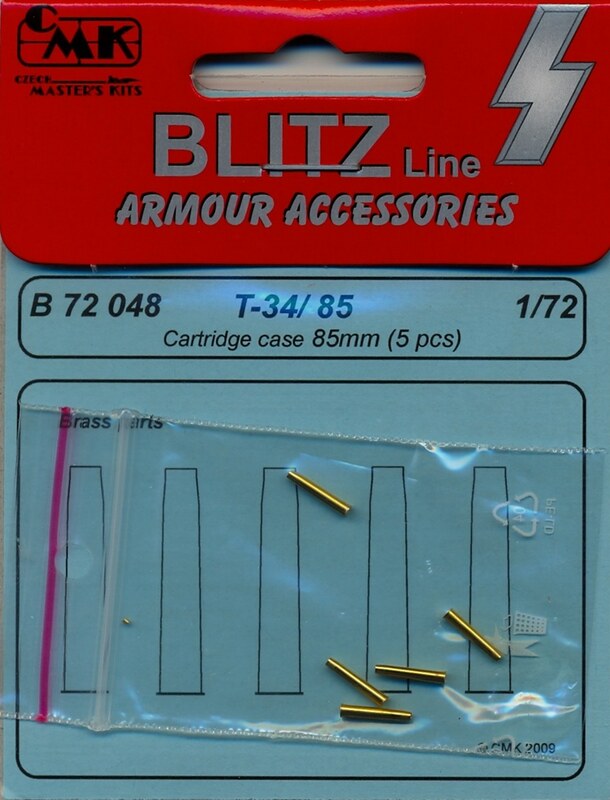 1944 (barrel ZiS S-53 85mm)l For Revell. Metal gun barrel and resin parts. BE72005 T-34/85 mod. 1943 (barrell D/5T 85mm) For UM. Metal gun barrel and resin parts. 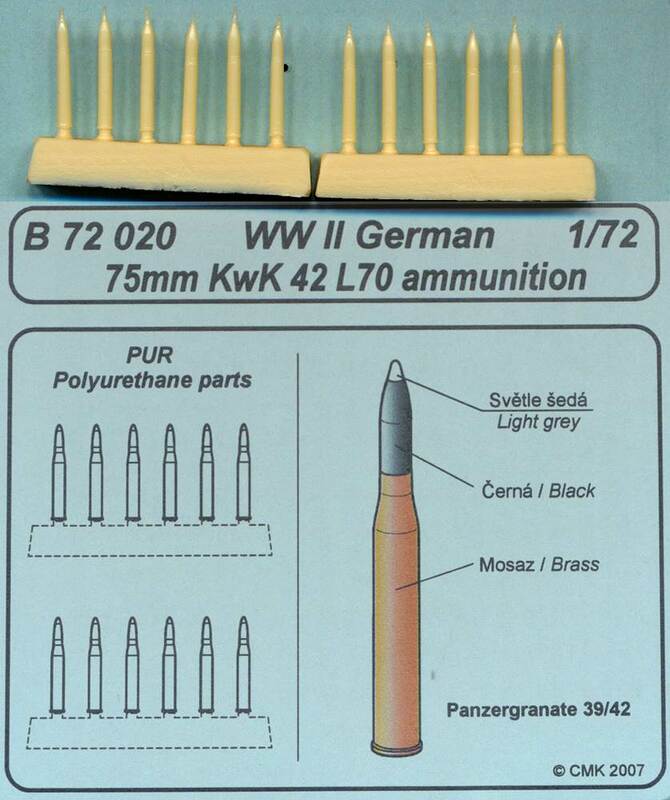 BE72006 SU-85 (barrel D/5S 85mm) For UM. Metal gun barrel and resin parts. 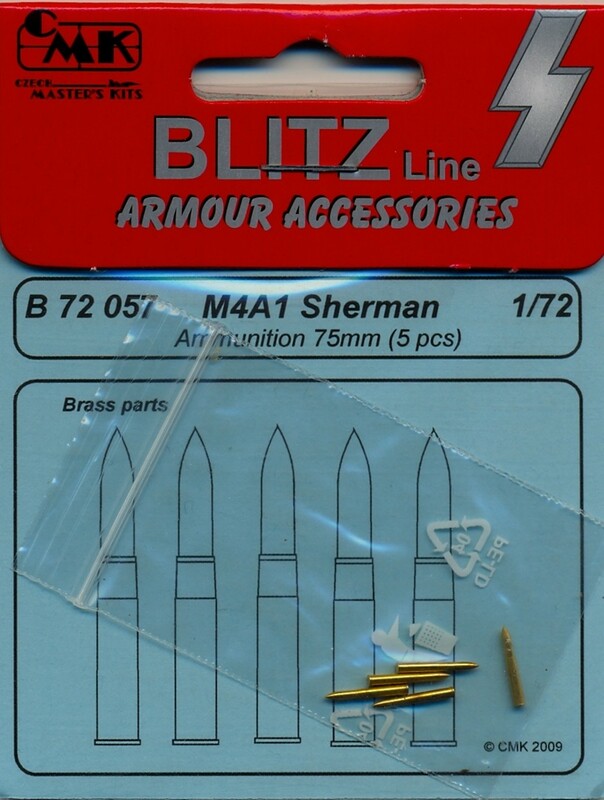 BE72009 M4 Sherman 75mm type1 (barrel M3+ammo75mm) Metal gun barrel and resin parts. BE72010 M4 Sherman 75mm type2 (barrel M3+ammo75mm) Metal gun barrel and resin parts. BE72011 M4 Sherman 75mm type3 (barrel M3+ammo75mm) Metal gun barrel and resin parts. 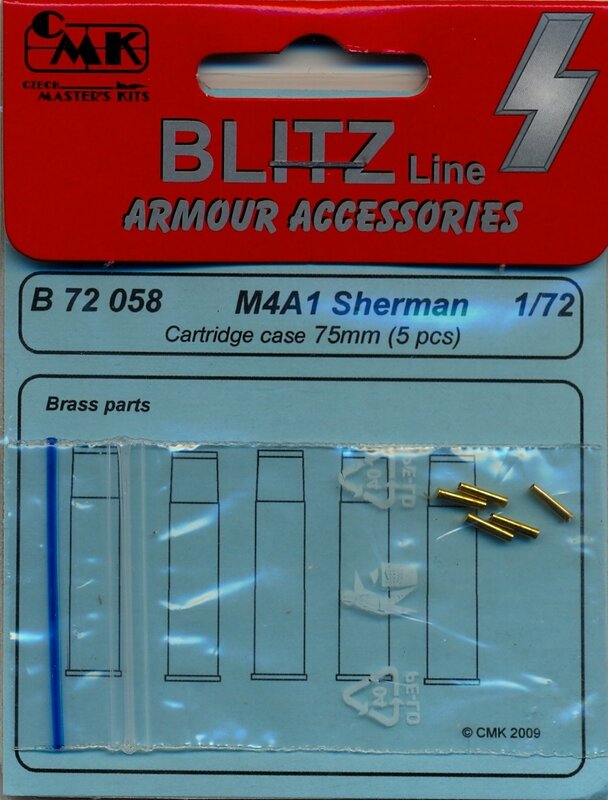 BE72012 M4 Sherman 75mm type4 (barrel M3+ammo75mm) Metal gun barrel and resin parts. SP0901 Panther - Super Pack 1 For Revell. SP0902 Panther - Super Pack 2 For Revell. 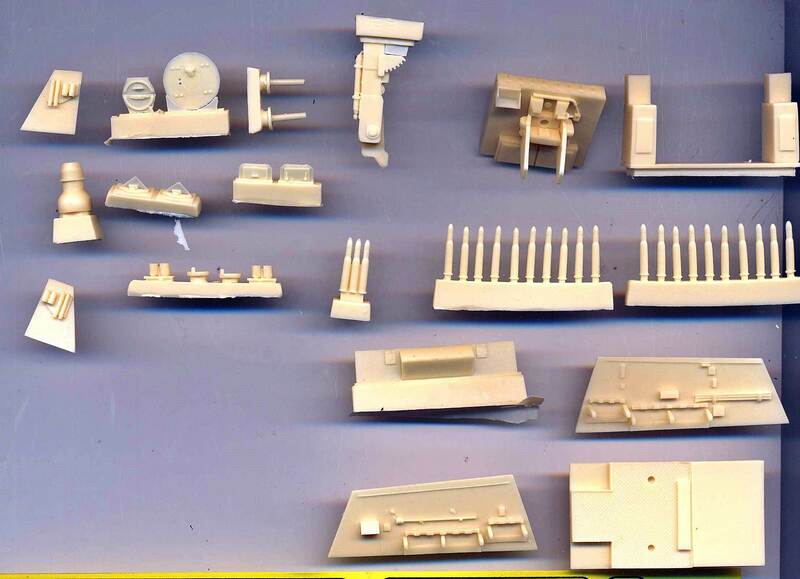 SP0903 Sturmtiger - Super Pack For Revell. SP0904 Bergetiger - Super Pack For Revell. SP0905 Ferdinand - Super Pack For Trumpeter. SP0906 Elefant - Super Pack For Trumpeter. F72 180 WWII Wehrmacht mounted infantry. Two figures and two horses. F72 181 Viet Cong 1966. 3 resin figures.